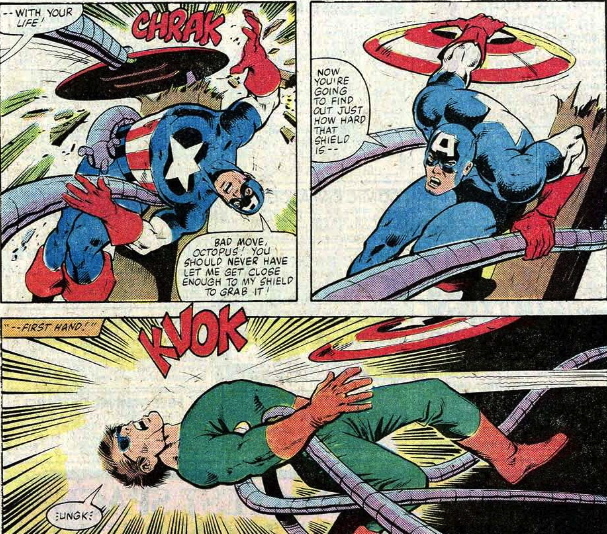 First of all: Mike Zeck’s first Cap art issue. Second, I think this was the first time Doc Ock was in a book without Spider-Man. And third, he gets his custom motorcycle!